Gaaah. This is too much. Tillie Cole has done it once again. She has taken the dark world of the Hades Hangmen and turned it into something astounding. 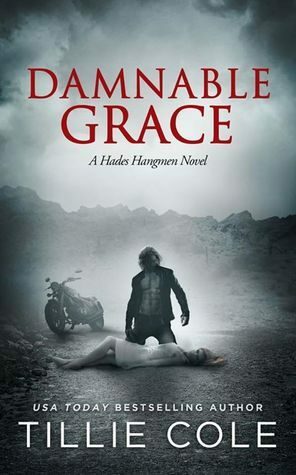 Damnable Grace is the fifth book in the Hades Hangmen series and is the utterly beautiful story of AK and Phebe. This book will break your heart. It will tear you down into pieces as you wait for Tillie Cole to piece you back together. Damnable Grace tells the story of Xavier ‘AK’ Deyes. His story is one of huge pain and loss. The story begins telling us of how bright his life was to be only to read further to find his path distorted and destroyed. There is so much strength seen in AK’s character. He has suffered with so much guilt only to come out of it as one of the most caring and protective Hades Hangmen members. We get to see all the relationships he has with the other members from Lil Ash to the psycho trio. And it is downright thrilling to read. Ak has only meet Phebe once. We read about that in Heart Recaptured and have been curious about these two ever since. Phebe’s story is extremely painful. She has suffered so much in her life. Guilt eats at her every second of everyday as she lives in Hell. 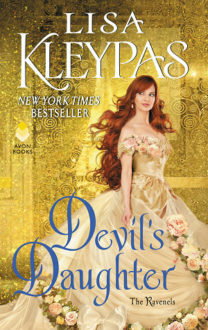 There are so many surprises in this book regarding to Phebe’s life. 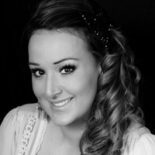 Even with all that has happened to her, her regret, loss and hurt, Phebe has so much strength. It is not possible to describe much without giving away the story. So this is Phebe’s and AK’s story. It is extremely rough. But they are very similar in the way life has treated them. Both has been through the toughest of situations. It will make your heart clench and twist as you read through their story. It is beautiful but so painful. They have suffered so much. And their suffering doesn’t end for a long time. This book is so worth the read. There will be time where you laugh (Vike and his freaking pineapple) and time where you’ll swoon (Lil Ash ❤) It had me turning page after page until 3am. I went through a roller coaster of emotions reading this story of love and redemption. I can’t tell you how much Phebe and AK will affect you. Read it. Five heart shatteringly beautiful stars! !